Get ready to see Rails as you've never seen it before. Learn how to extend the framework, change its behavior, and replace whole components to bend it to your will. Eight different test-driven tutorials will help you understand Rails' inner workings and prepare you to tackle complicated projects with solutions that are well-tested, modular, and easy to maintain. 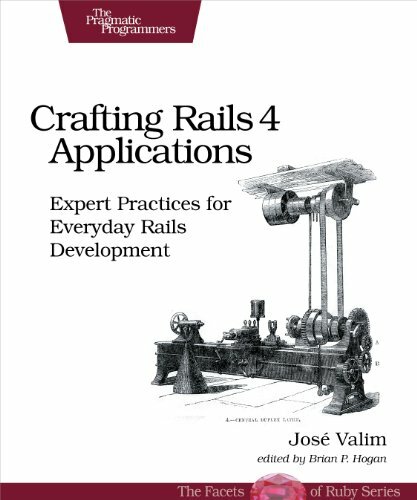 This second edition of the bestselling Crafting Rails Applications has been updated to Rails 4 and discusses new topics such as streaming, mountable engines, and thread safety. Rails is one of the most extensible frameworks out there. This pioneering book deep-dives into the Rails plugin APIs and shows you, the intermediate Rails developer, how to use them to write better web applications and make your day-to-day work with Rails more productive. Rails Core developer Jose Valim guides you through eight different tutorials, each using test-driven development to build a new Rails plugin or application that solves common problems with these APIs. You'll learn how the Rails rendering stack works and customize it to read templates from the database while you discover how to mimic Active Record behavior, such as validations, in any other object. You'll find out how Rails integrates with Rack, the different ways to stream data from your web application, and how to mix Rails engines and Sinatra applications into your Rails apps, so you can choose the most appropriate tool for the job. In addition, you'll improve your productivity by customizing generators and responders. This book will help you understand Rails' inner workings, including generators, template handlers, internationalization, routing, and responders. With the knowledge you'll gain, you'll create well-tested, modular, and robust solutions for your next project.